MSCA-COFUND project – Tech4Culture PhD Programme- Second call open! 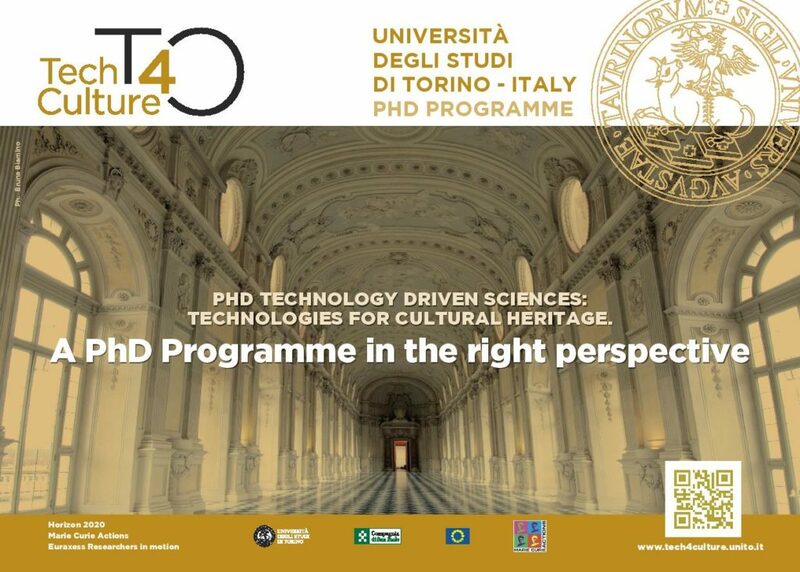 The University of Torino is pleased to announce that the Second Call for Applications for the project “PhD Technology Driven Sciences: Technologies for Cultural Heritage (Tech4Culture)” is now open. Tech4Culture is supported by the MSCA-COFUND scheme and by the banking foundation Compagnia di San Paolo. Tech4Culture is a new doctoral programme in technologies applied to Cultural Heritage. The Second Call for Applications will assign up to 10 fellowships to incoming mobility early stage researchers. The deadline to apply is May 7, 2019 at 12:00 noon (Central Europe Time).